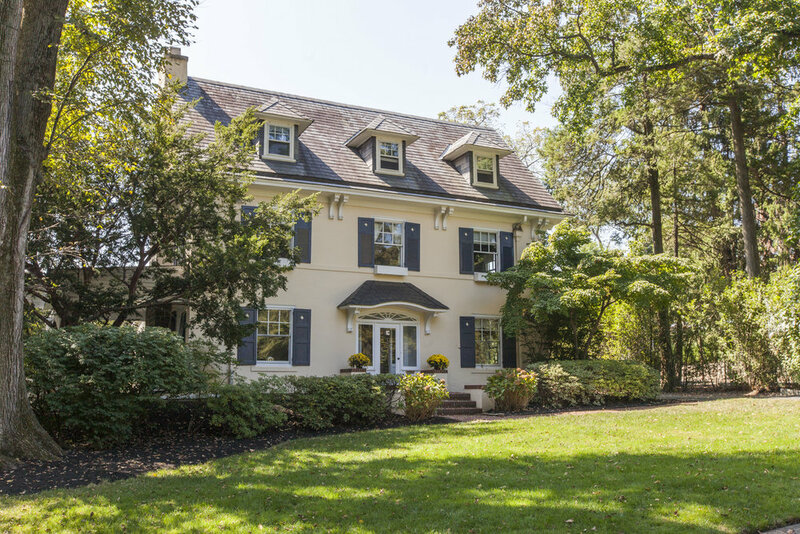 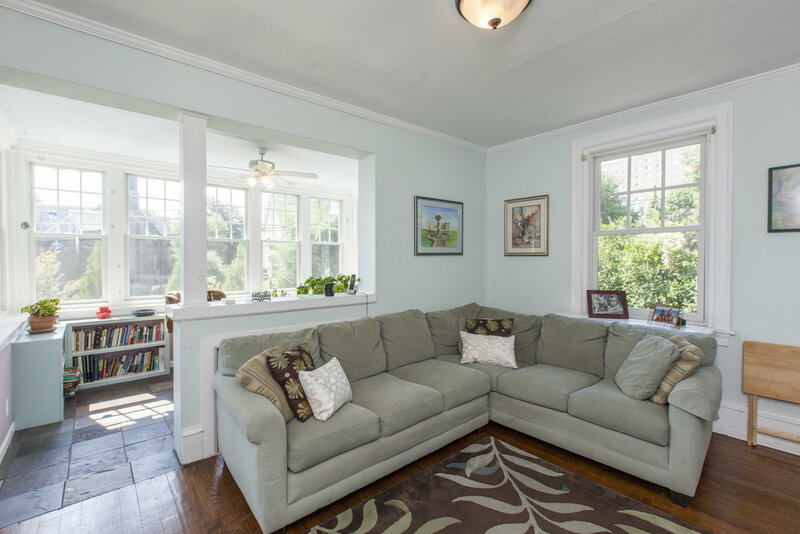 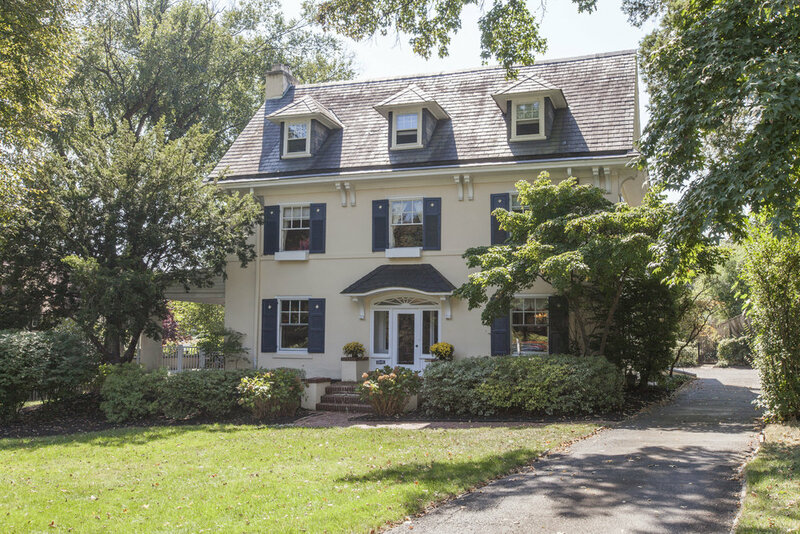 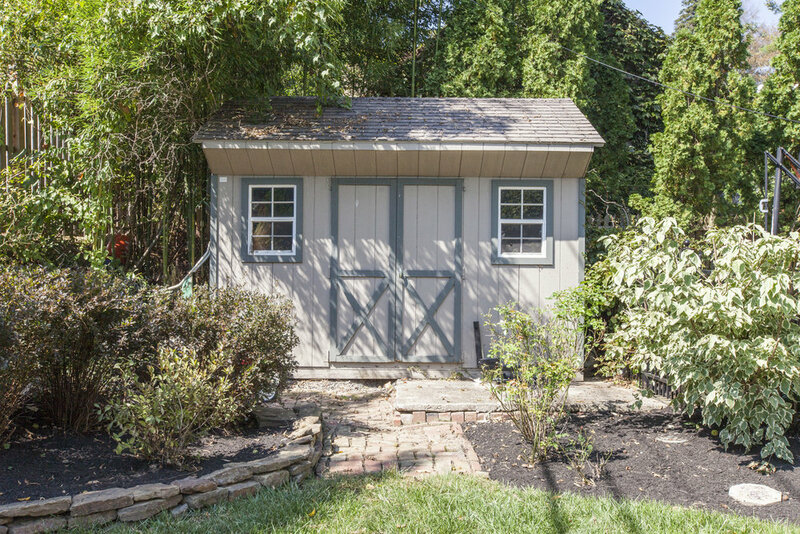 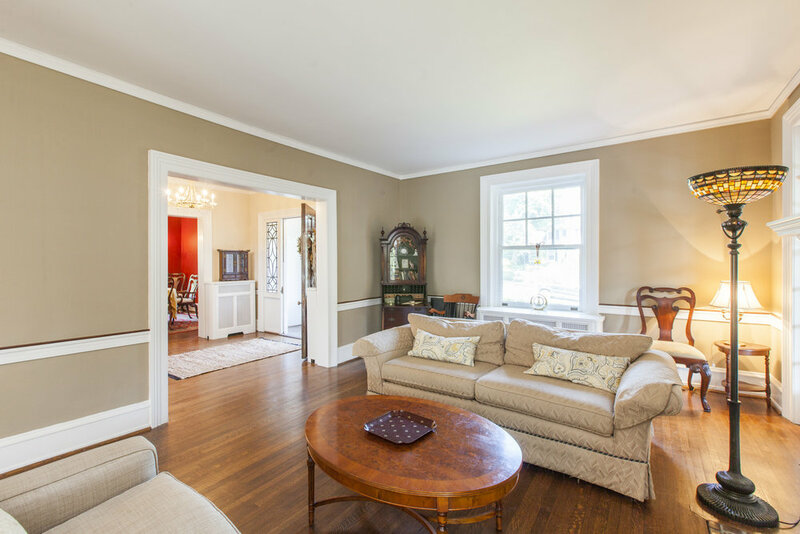 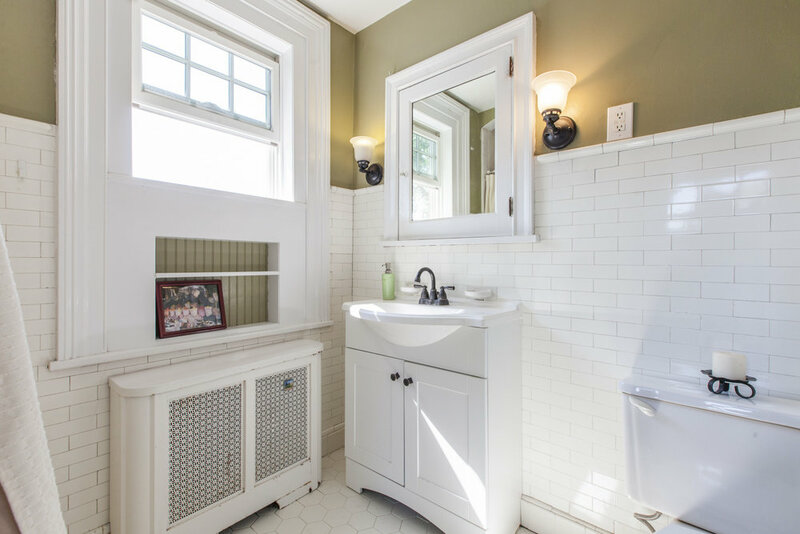 On a majestic tree-lined street in Jenkintown sits this Colonial style home. 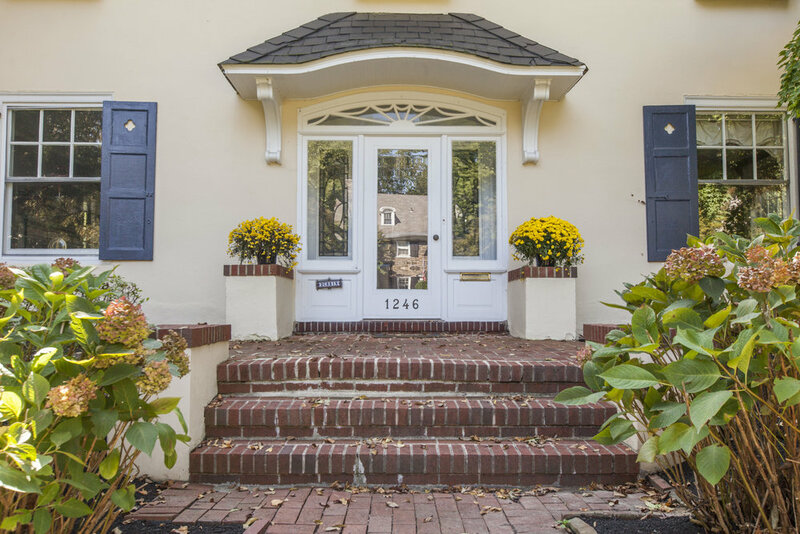 Beautiful greenery with spring summer blooms compliments the front of the home. 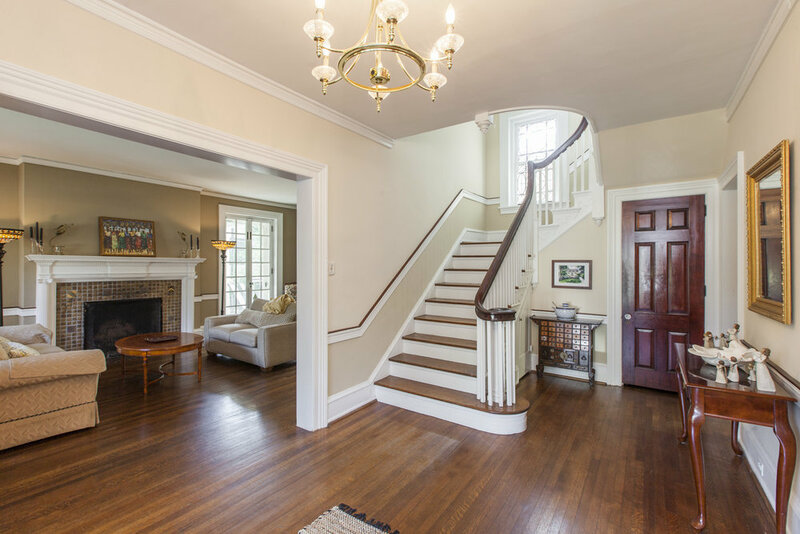 Enter through a vestibule into the wide open inviting foyer with finished hardwood floors that are throughout most of home, as well as crown molding throughout and walk-in coat closet.